We all would agree that nothing feels better than having sweets. Whether you are happy or sad, angry or ecstatic, sweets are always there to make you feel better! You don’t need a reason to treat yourself to the sugary bliss of sweets. 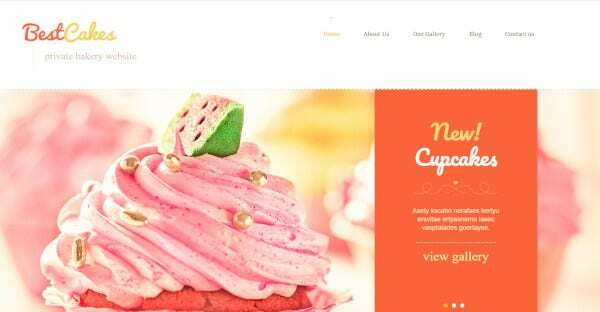 And if you want to make the world a happier place with your sweet shop, then here’s a list of the best WordPress themes and templates to help your website stand out from the rest! 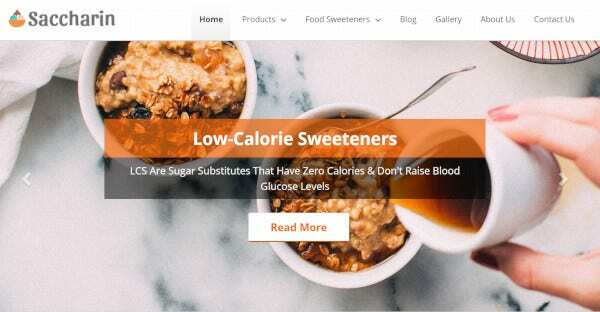 This is a beautiful sweet shopping WordPress theme with add on advantages that make it appealing to the customer. It is also very easy to use and make the experience smooth for the customer. It has Cherry framework and WordPress compatibility. The animation is HTML plus JS based, along with Parallax. It has a powerful admin panel and is Bootstrap compatible. It comes with google web fonts and google maps integration. It works great on all major search engines. This is an alluring and trendy theme that is full of interesting and refreshing features. It is packed with stylish pages. The theme is retina ready. It works great on all devices, and is WordPress 5.0 compatible. It comes with premium plug ins such as Revolution Slider, WPBakery page builder, Essential Grid, MailChimp, etc. it is WooCommerce compatible and that makes it easy to set up. Stylish and elegant, this multipurpose WordPress theme is carefully built with Elementor page builder. The theme has a mobile first philosophy that makes it perfect for use on smaller screens. Thorough documentation is provided along with 24×7 support to help you resolve all your problems. The theme is SEO friendly and had google fonts integration. It has a valid and clean HTML code that makes it very easy to use. It is WPML ready and has amazing plug ins. 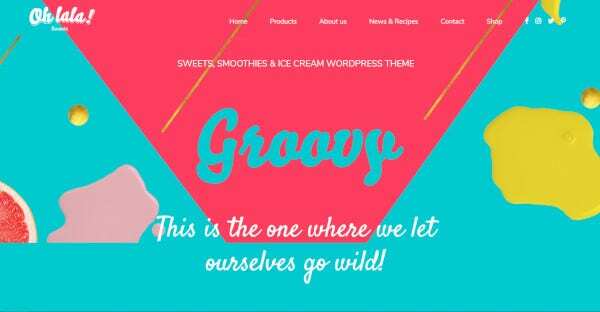 This is a cute and colourful grid based WordPress theme to attract customers with its adorable looks! 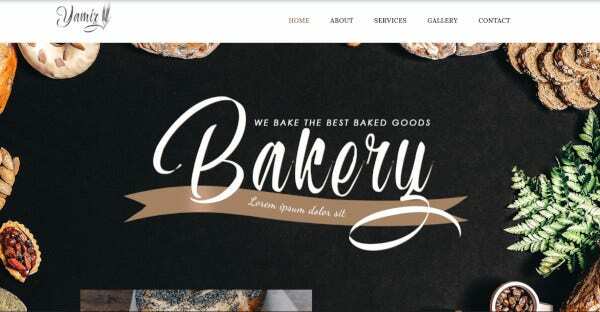 The design of this theme is crafted for bakeries. It has a clean and fresh outlook. It is easy to install, modern, fun, and customizable. It has a powerful framework. 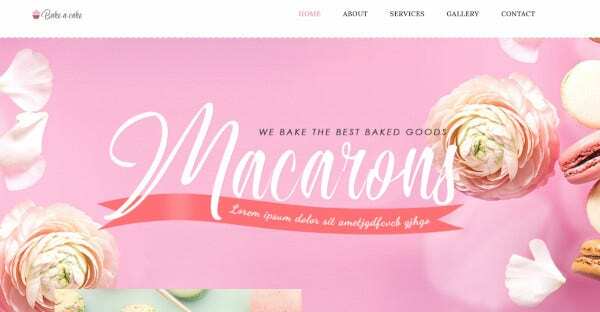 It is WPBakery compatible, and WooCommerce ready. The theme comes with powerful plug ins such as Revolution Slider, Swiper slider, etc. It has a google fonts integration and documentation is included. This is a cute and extremely visually appealing theme. It is based on Cherry framework, and is WPML ready. 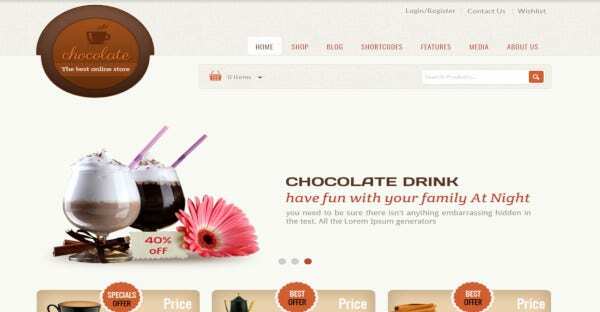 This theme is best for those who want something elegant for their website. It has amazing features such as Bootstrap compatibility and Google fonts integration. It is ecwid ready and has a fully responsive design. The theme comes with Advanced theme options along with Custom page templates. 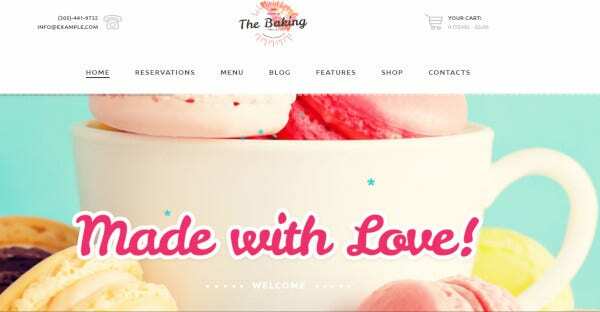 This lip smacking theme is packed with 7 astounding and easily adaptable homepage layouts. The theme comes with a large set of practical, intricately designed, and fully customizable inner page layouts. It is easy to use and has a drag and drop page builder. It is fully responsive and retina ready. There are extensive typography options. It is WooCommerce compatible and comes with a set of amazing pug ins such as Visual Composer and Revolution Slider. This theme is carefully crafted to cater to your needs and make your website visually exciting and appealing for your customers. The product section is the place where you can showcase all your items with the price tag, image, name and more. You can add multiple payment access points it uses a full width slider that helps you to highlight the important features of your website. It is WooCommerce integrated and SEO optimized. This theme is elegant and has a very compact design. It has a very appealing outlook. The theme has a valid semantic coding that makes it easy to use. It has Google fonts and google maps integration. It is crossbrowser compatible and has MegaMenu opitions. 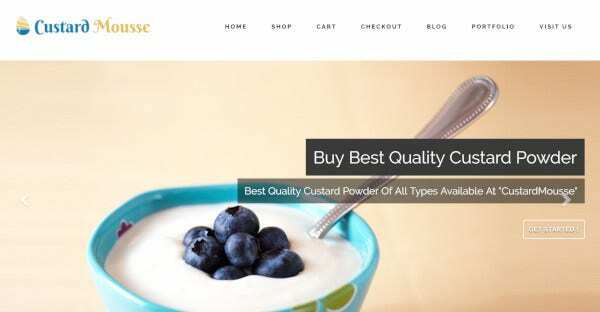 This theme works great on all devices and has WooCommerce integration. 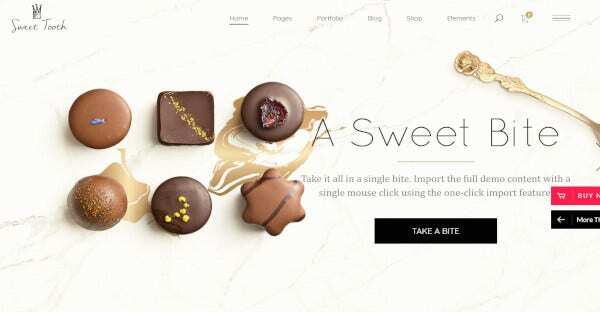 Chocolate also HTML 5, CSS3 and is well documented. For those who are looking for an easy to navigate through template, that looks great and attracts customers, this is the one for you! This theme makes every aspect of your business presentable to your customers with its wide range of inner page layouts. Highly customizable, this theme comes with an easy admin interface. The theme is Retina Ready and fully responsive. Has a Mega Menu and Child Theme is included. It is WooCommerce Ready, and WPML compatible. This is a fun and vibrant theme to work with! Its pop colour outlook, with a refreshing design makes it look extremely elegant and attractive. The theme has been tested to work across various devices. This WordPress theme is Retina Ready and Fully Responsive. It has a Google fonts integration and uses Bold Builder plugin. It is WooCommerce integrated and translation ready. 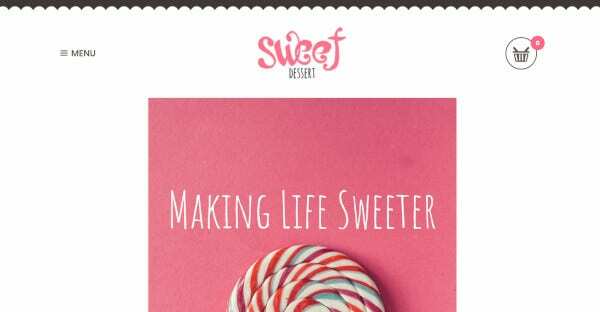 This theme is a dream for the lovers of candy and all things sweet! It looks extremely attractive and cute and draws customers. It has a tap to call feature that makes contact easy and smooth between the customer and the seller. It has a fully responsive design and a full width slider area. The theme comes with an attractive all to action button. It is cross browser compatible. If you’re looking for something that’s fun and vibrant, then this is theme for you! 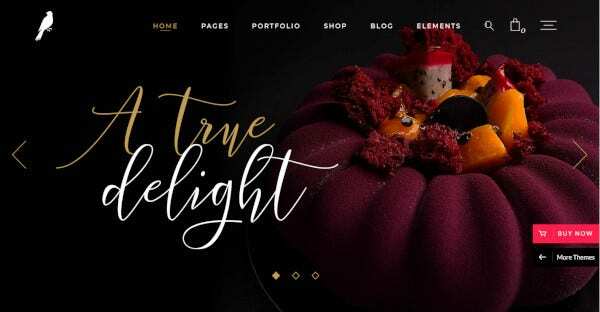 This s an elegant and stylish theme that looks attractive to customers. This theme is carefully built with Elementor Page Builder. It follows a mobile first philosophy that makes it work smoothly and look great across devices. All images are for free. It comes along with Jet Elements plug in. 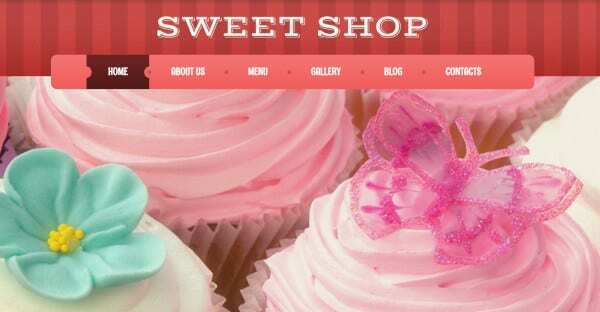 This theme is hand crafted for sweet shops, cakeries, candy outlets, etc. 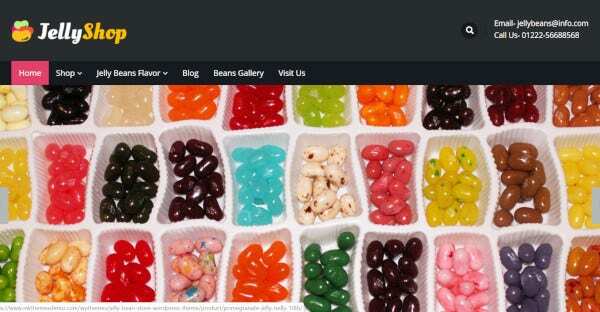 this is a great theme to sell your sugary deliciousness on the virtual platform. You get awesome 24×7 support to make things easy for work. It comes with a 30 days money back guarantee. There are regular product updates and has awesome slider plugins. It has a wide range of custom templates and is fully responsive. It also has cross browser compatibility. Sweet lovers, unite! This theme is super catchy and attractive. It is compatible on multiple browsers and is extremely appealing to customers. It comes with a slider area and gallery to showcase all your sugary happiness. It is easy to set up and has a widgetized footer. 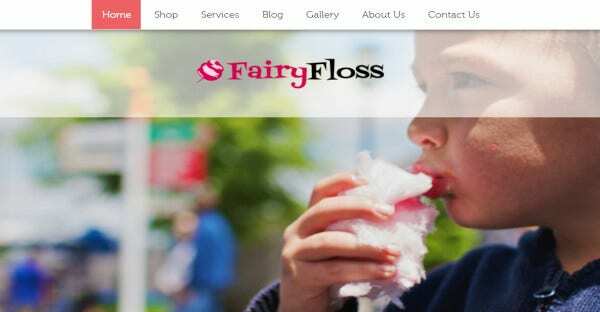 This theme is CSS enabled and has full SEO Optimization and Woocommerce integration. From ice cream to frozen yogurt, cakes to candies, this theme is perfect for those who want to showcase their sweet producing talent. It is CSS enabled and has a fully responsive design. It has a 100% fluid layout, and works amazing across browsers.it has a powerful admin panel and is WPML compatible.it has custom widget areas and is SEO optimized. So what are you waiting for? 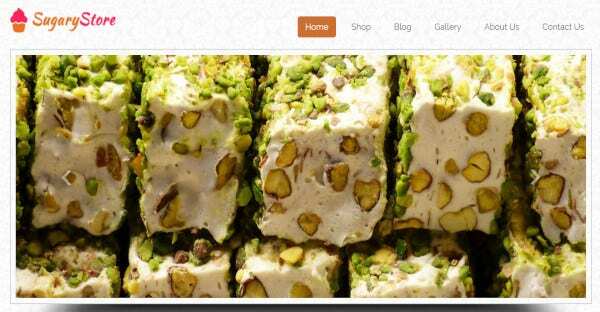 Making a sweet store website is a piece of cake! Just go ahead and pick the theme that fits your aesthetics and you’re ready to be out there!